Janet Lynn Huckaby Betts, age 58, passed away on Wednesday, April 12, 2017 at NMMC in Tupelo. She was born April 3, 1959 to Roy "Ralph" Bulter Huckaby and Jane Elizabeth Parker Huckaby. 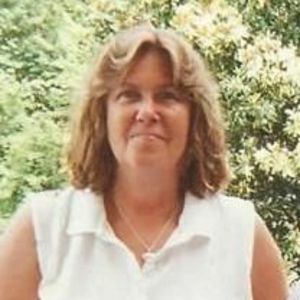 She was a member of Tula United Methodist Church and a graduate of Tupelo High School Class of 1978. She was self-employed and worked part time at the Learning Tree Daycare. She volunteered with MORA and attended many of their events. She was a tissue donor so that she could enrich the lives of others. She enjoyed cooking, working in her yard, playing computer games, and attending her grandchildren's sporting events. Services will be at 12 noon on Saturday, April 15, 2017 at Browning Funeral Home Chapel in Pontotoc with Rev. Donnie Williams officiating; burial will follow in the Tula Cemetery. Browning Funeral Home in Pontotoc is in charge of the arrangements. Survivors include her husband, Donald Lane Betts, Sr., of Belden, MS; one daughter, Joyce Lynn Betts (Fiance' John Dozier) of Pontotoc, MS; two sons, Jonathon Wesley Betts (Rikki) of Tupelo, MS and Donald Lane Betts, Jr. of Kiowa, CO; her father, Roy "Ralph" Butler Huckaby of Cleveland, TN; two sisters, Rhonda Kimbry of Charleston, TN and Karen Huckaby of Belden, MS; three step sisters, Theresa, Tonja and Tammy; and seven grandchildren, Dalton, Nathan, Chastity, Anna, Austin, Chance and Allie; and one great-grandchild, Pierce. She was preceded in death by her mother, Jane Elizabeth Parker O'Callaghan; one son, Christopher Adam Betts and her grandparents, J.B. and Ura Parker and Curtis and Julia Huckaby. Pallbearers will be Jacob May, Kevin May, Chad Betts, Darius Nicholson, Chance Betts, Austin Hudnall and Jim May. Visitation will be from 5 to 8 PM Friday and from 11 to 12 PM Saturday at the funeral home.